I have to admit it... I'm just a liiiitle bit exhausted and uninspired tonight. I didn't want all of y'all to think that I had dropped off the face of the planet, so I thought I would pass along a few great websites that I have been using lately. 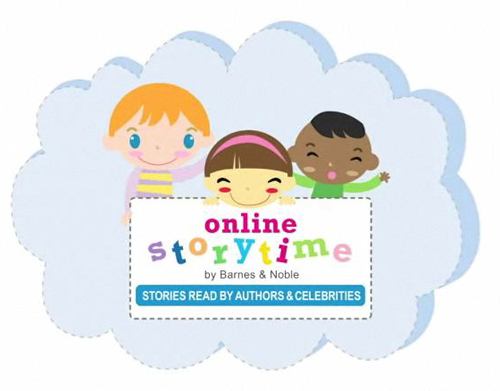 Barnes and Noble has put together 14 fabulous books read by authors and celebrities in a fun, online format. 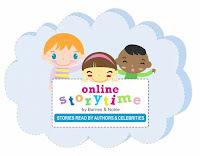 This month they added Laura Numeroff reading If You Give a Mouse a Cookie! Some other highlights are Where the Wild Things Are read by Maurice Sendak, The Kissing Hand read by Audrey Penn, Strega Nona read by Tomie de Paola, and Splish, Splash, Splat! read by Molly Ringwald. I used this as my listening center today, and the kids went CRAZY over it! Reagan from Tunstall's Teaching Tidbits sent this to me last week after my post about Indoor Recess. 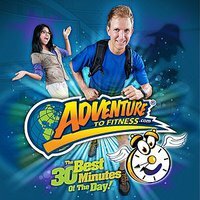 It is a great, FREE website with 30 minute interactive exercise videos for little ones. I haven't shown it to the little ones yet, but I did skim an episode myself and I loved it! Of course, I have been totally obsessed with Pinterest for a few months now, but I thought it would be fun to share a few fabulous ideas that I have found there in the last week. This Montessori inspired sand table is not only fun, it helps children investigate, learn about the world around them and problem solve. I will definitely be trying a smaller version of this in my classroom this year! Simple, perfect, easy peasy way to teach the difference between b and d, as well as p and g! 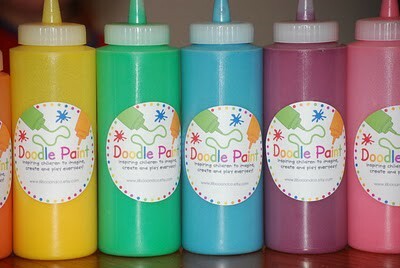 Homemade puffy paint made from ingredients you already have in your cupboard. One word: perfect! All of these ideas can be found on my Pinterest "Lessons and Activities" board.